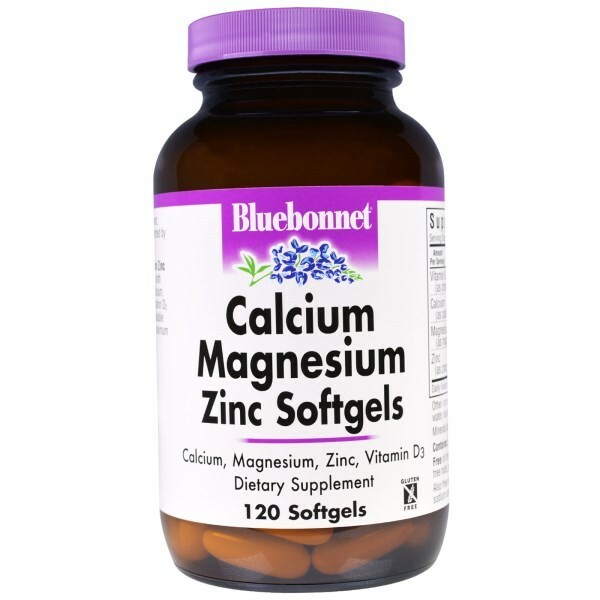 Bluebonnet's Calcium Magnesium Zinc Softgels are specially formulated with a high potency combination of calcium, magnesium, zinc, plus natural vitamin D3 (cholecalciferol) from lanolin. Daily Value based on a2,000 calorie diet. Gelatin, glycerin, purified water, lecithin, soybean oil, silica. 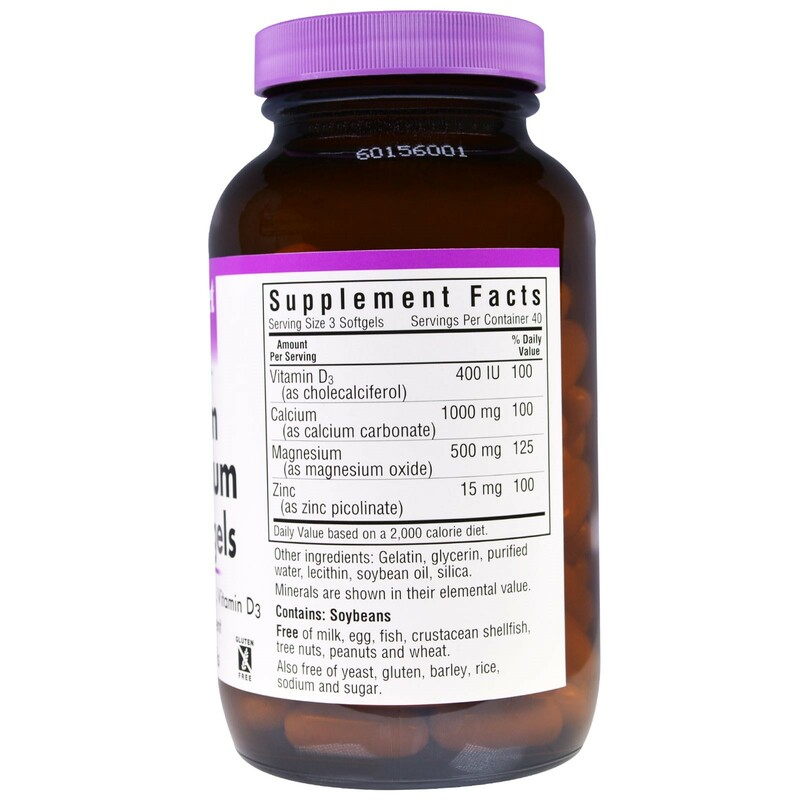 Contains: Soybeans Free of milk, egg, fish, crustacean shellfish, tree nuts, peanuts and wheat.Also free of yeast, gluten, barley, rice, sodium and sugar. 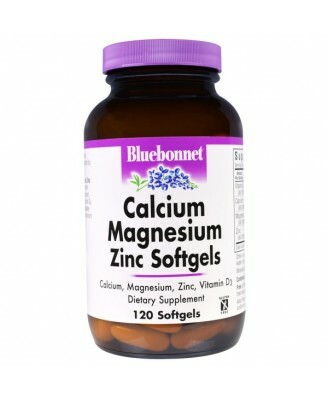 As a dietary supplement, take three softgels daily.